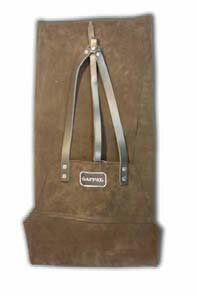 Leather full length apron. Adjust at waist and back. Great for hot weather training.